For additional FAQs about RPAC, click here. 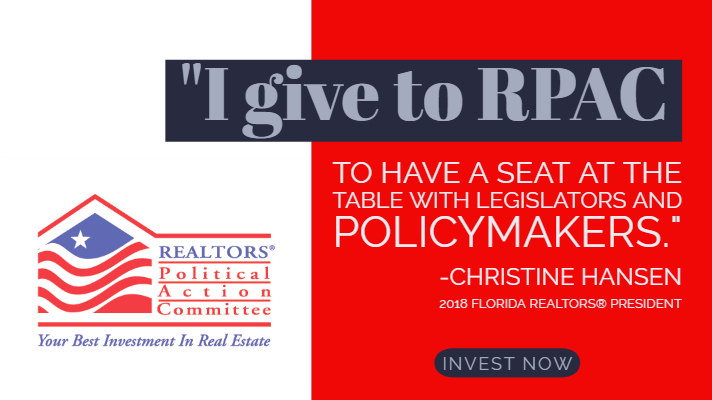 Several times a year, the National Association of Realtors® or Florida Realtors® will issue “Calls for Action” that encourage all members to contact their legislators on an important topic to make sure the interests of homeowners and REALTORS® are protected. 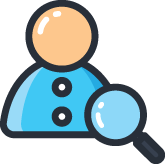 When there’s an active Call to Action, you’ll receive notifications in your email and messages from your broker. Past calls have included important topics like Flood Insurance Reform, and are very often successful in delivering our message to Washington. Click here to go to the REALTOR® Party site for more information. REALTOR® Party Mobile Alerts, NAR’s advocacy texting platform, offers REALTOR® Associations and REALTORS® a way to stay connected directly from their cell phone or tablet. When a national or state legislative call for action is launched, subscribers get a short text message, containing information to take action. REALTORS® can sign up for REALTOR® Party Mobile Alerts using the link below, or by texting the word REALTORS to 30644. Click here to go to the Florida Division of Elections and register to vote in the Local, State and National elections.